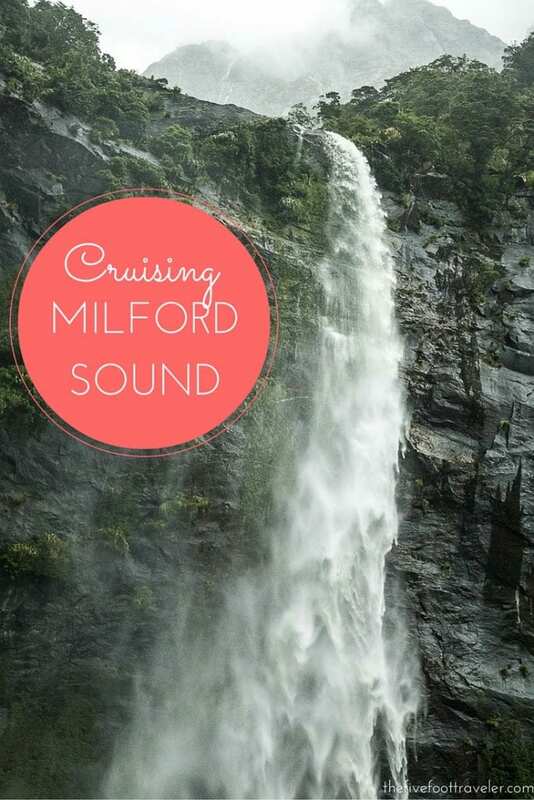 Most people visit Milford Sound to join a day cruise, and we did just that! After having completed driving the Milford Road, we hopped aboard Southern Discoveries’ Encounter Nature Cruise. Unlike many other boats, this small vessel allows you to get in the nooks and crannies of Milford Sound; on our rainy day, we were able to go inside the waterfalls! 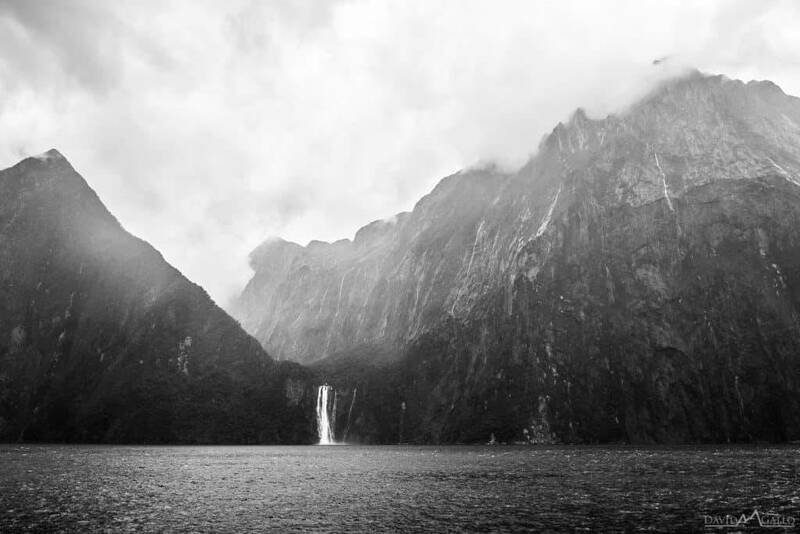 Despite the rain, the views of Milford Sound are astounding. 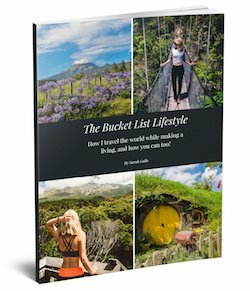 At first, we were unsure if it’d be worth the two hour drive from Te Anau to see Milford Sound in the rain, but we decided we might as well use our time wisely and check it out for ourselves. We are so glad we did! 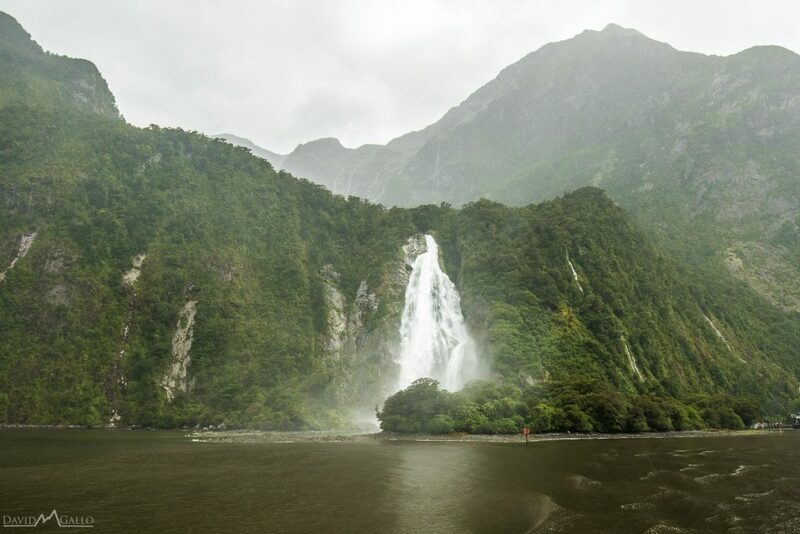 When it’s raining, the mountains of Milford Sound turn into huge, flowing waterfalls, and it surely is a site worth seeing! Southern Discoveries provides rain jackets on board to keep you dry, and to encourage you to get up on deck rain or shine. David and I spent the entirety of our cruise on the top deck, taking in the iconic, dramatic landscape. Throughout the whole experience, a nature specialist will be rattling off informative facts about various areas of the Milford Sound. We boarded our vessel beside the freshwater basin. It got its name due to the fact that the harbor contains more fresh water than salt water. Bowen Falls. 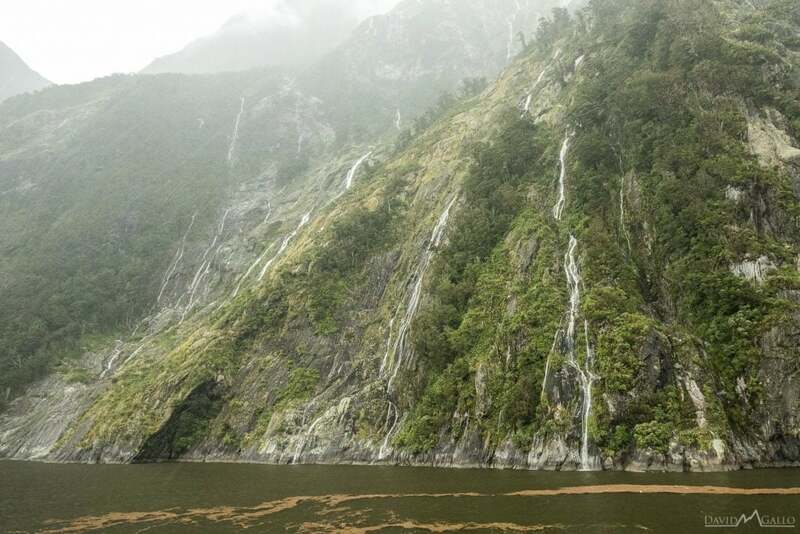 This is the highest permanent waterfall in Milford Sound. This waterfall was named after Lady Bowen, whose house we actually stayed in in Thames! The Bowen Falls drop 161 meters from a hanging valley. Mitre Peak. If there’s one famous image of Milford Sound, this is it. 5FT Fun Fact: Standing at 1,692 meters, this peak is one of the highest mountains in the world to rise from the ocean floor. 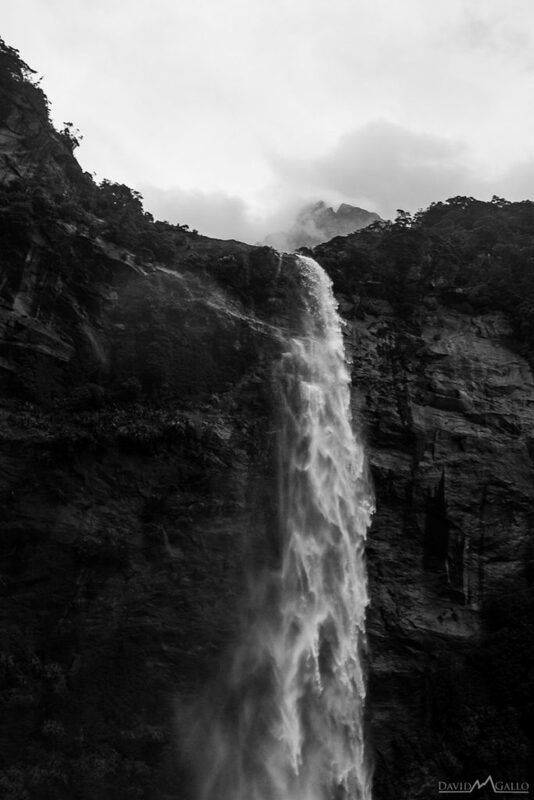 Stirling Falls. This is one of two permanent waterfalls in Milford Sound. It drops 151 meters, and looked extra beautiful on our rainy day. Southern Discoveries provides complimentary tea and coffee, and you could pre-order lunch for an extra fee as well. 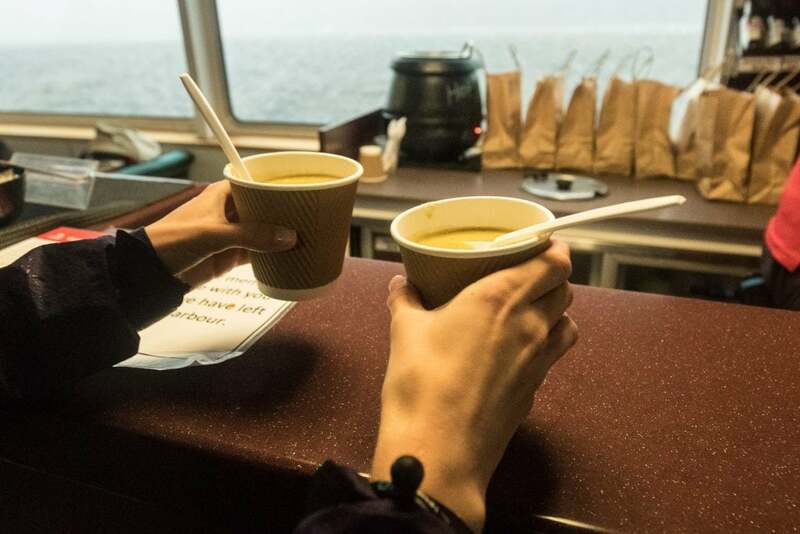 On board, you can also buy vegetable soup for $2NZD and it is absolutely delicious! David and I bought two cups each; not only was it tasty, but it warmed us up too! 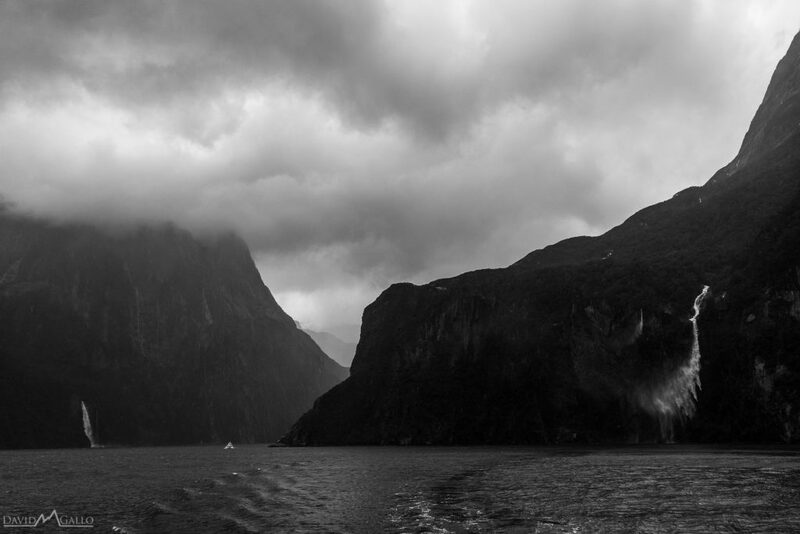 The two-hour cruise was exactly what we were looking for in Milford Sound. 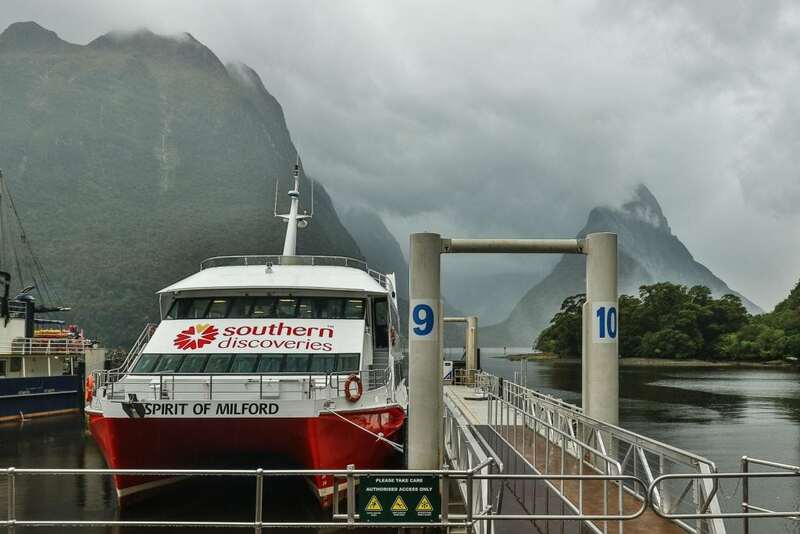 Southern Discoveries is Milford Sound’s oldest company, and after experiencing their Nature Tour, we completely understand why they’re still around. In providing us an up close and personal tour of Milford Sound, we had the opportunity to experience one of the most beautiful places in the world. **Special thanks to Southern Discoveries and Air New Zealand for sponsoring our journey. As always, all opinions are my own. Photographs taken by David M Gallo Photography.